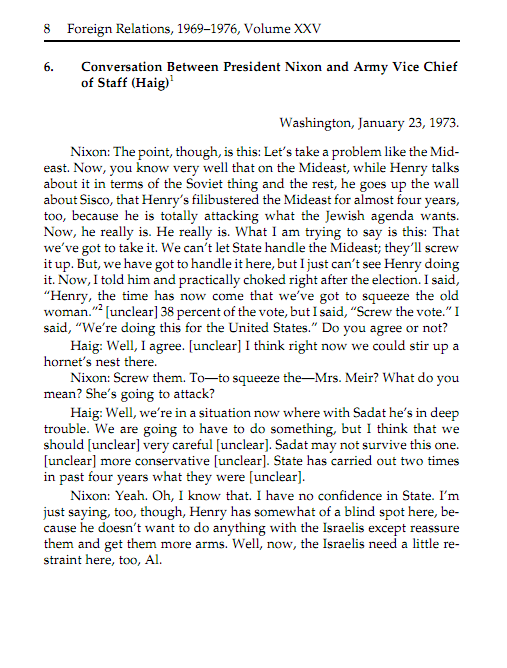 Ashton article, “Pulling the Strings: King Hussein’s Role during the Crisis of 1970 in Jordan,” International History Review, pp. 94-118. Noam Kochavi, “Insights Abandoned, Flexibility Lost: Kissinger, Soviet Jewish Emigration, and the Demise of Détente,” Diplomatic History, pp. 503-530. 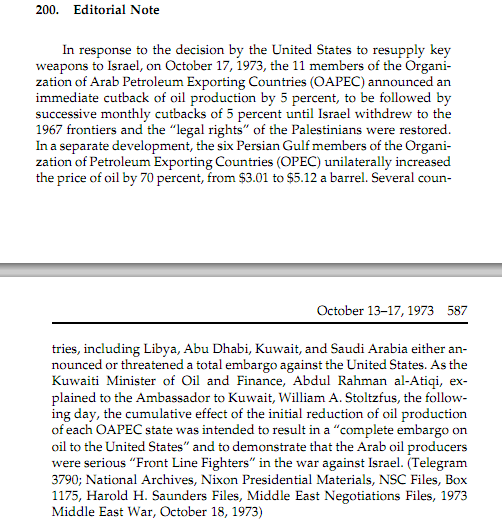 Rudiger Graf, “Making Use of the Oil Weapon,” Diplomatic History, pp. 185-208. 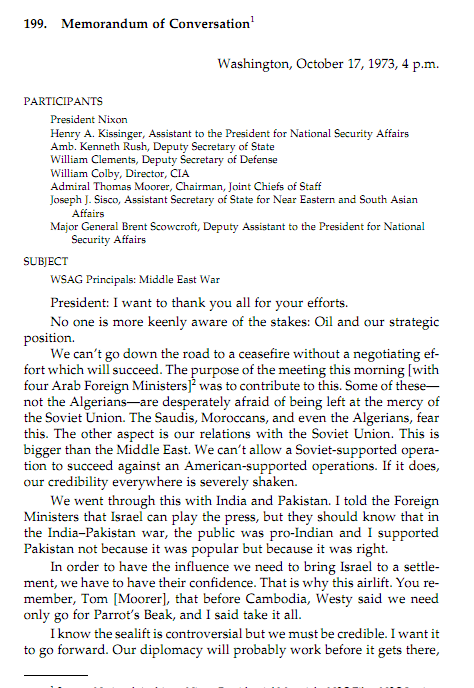 Roham Alvandi, “Nixon, Kissinger, and the Shah: The Origins of Iranian Primacy in the Persian Gulf,” Diplomatic History, pp. 337-372. Fiona B. Adamson, “Democratization and the Domestic Sources of Foreign Policy: Turkey in the 1974 Cyprus Crisis,” Political Science Quarterly, pp. 277-303. 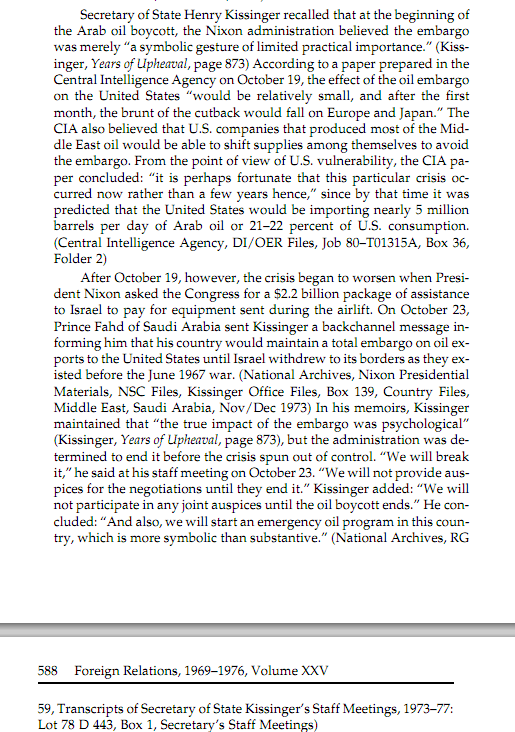 Kissinger chats with a congressional delegation over the effects of the aid cutoff to Turkey, 1975.
the stationing of military forces listed below. in the Sharm el-Sheikh area to insure freedom of passage through the Strait of Tiran; and these forces will not be removed unless such removal is approved by the Security Council of the United Nations with a unanimous vote of the five permanent members. 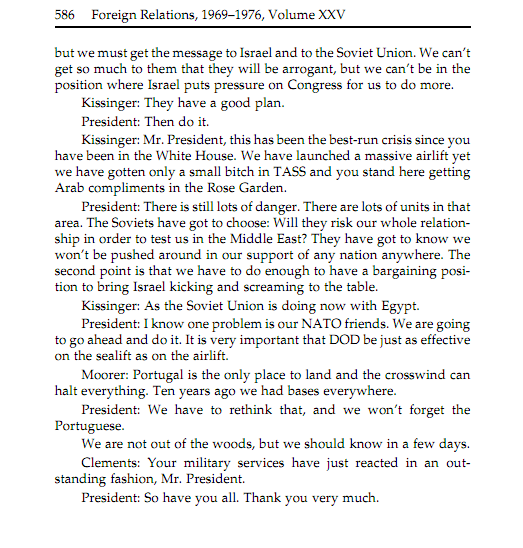 Introduction to Jimmy Carter’s national energy address. He wasn’t exactly the most dynamic speaker, as you’ll see. The clip is a little over 4 minutes long.